Sarah Guillory: BETWEEN Birthday and Giveaway! 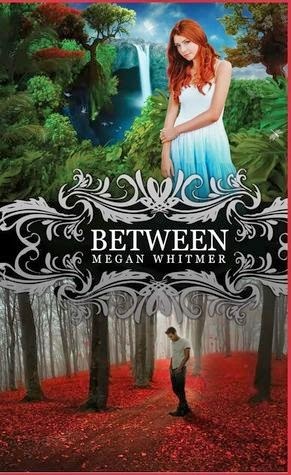 Anyone who follows me on Twitter knows how excited I am to read Megan Whitmer’s Between. AND IT COMES OUT TODAY AND NOW NO ONE NEED WAIT ANY LONGER! Sounds awesome, right? I feel like I’ve been waiting to read this book forever. I did manage to get a sneak peek, and I have to tell you guys, the first few chapters I read are amazing. And now I finally get to devour the whole thing! I was lucky enough to meet Megan at BEA last year, and y’all, she is the funniest, sweetest person ever. And she has amazing hair. She and I are publisher sisters, so in honor of her debut, I’m giving away two e-copies of her book. If you want to win a copy (and seriously, who doesn’t), just follow the directions. 1. Leave a comment below, telling me why you’re excited about this book. Please leave me a twitter handle and email address so I can get in touch with you. 2. Tweet about the book. And I’ll even make it easy on you by giving you the Amazon link: http://www.amazon.com/Between-Megan-Whitmer/dp/1939392152/ref=sr_1_1?s=books&ie=UTF8&qid=1406597201&sr=1-1&keywords=between+megan+whitmer. Just copy, paste, and tweet. I'll pick two random winners on Friday, August 1st. Good luck! I would love love love to read this book! It sounds so amazing! It's filled with everything I look for in a book- magic, danger, and romance! Plus, I have a vacation coming up, and I would totally be the one toting this with me and telling everyone else they should read it! Please pick me!!! And of course, I follow her! Um. I think my comment got eaten. I do follow Megan and I want to read Between. I've heard so much about it. I need to read it now. Lol. I've heard so much awesome stuff about this book from all of my Twitter friends - I've been dying to read it!